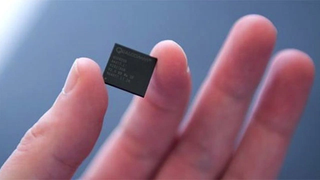 Qulacomm has announced its next generation or chip in the form of the Snapdrgaon 820—and it hopes to usher in better signal and longer battery life to the next slew of high-end phones. The new system-on-a-chip is based on a 64-bit quad-core Kyro processor, which clocks in at 2.2GHz. Qualcomm claims that it’s twice as efficient as its 810 predecessor—which suffered from some overheating complaints—while delivering twice the performance. That increase in efficiency is said to equate to a 30 percent reduction in power consumption which, if true, could be quite amazing. In terms of graphical performance, there’s an Adreno 530 GPU that Qualcomm claims is 40 percent more powerful than the Adreno 430 found in the 810. At any rate, it’ll drive a 4K Ultra HD display, so that’s something, as well as supporting cameras of up to 28 megapixels. Elsewhere, a new integrated X12 LTE modem promises mobile download speeds of up to 600Mbps—33 percent faster than the Snapdragon 810—and upload speeds of up to 150Mbps. That should help chomp through your data allowance. A feature called TruSignal Antenna Boost will also help try and keep your signal as strong as possible, while the SoC will also support the new super-fast 802.11ad wifi standard, too. All in, it sounds fairly impressive. Whether it will be enough to tempt Samsung and LG back, who ditched Qualcomm for their most recent flagships, though? That remains to be seen. Update: The original version of this story suggested that LG didn’t use Qulacomm chips in its recent phones. It did, in fact, use them in the LG G4 and LG G Flex2.